PORTLAND, Oregon, February 3, 2016 (ENS) – A federal grand jury today indicted Ammon Bundy, his brother Ryan, and 14 co-defendants arrested last week in the armed occupation of the Malheur National Wildlife Refuge in eastern Oregon. Ammon and Ryan Bundy, the sons of like-minded Nevada rancher Cliven Bundy, led a group of armed followers to the Malheur National Wildlife Refuge in eastern Oregon on January 2. The group commandeered the headquarters building, including computers, files and equipment. They refused to leave, demanding local control of federal land in Harney County and the release of two local ranchers imprisoned on a grazing lease dispute with authorities. For nearly three weeks federal law enforcement officials did not step in, but on January 26 the FBI and Oregon State Police cracked down, arresting seven of the occupiers and killing another in a shootout at a traffic stop on an mountainous road between Burns and John Day. 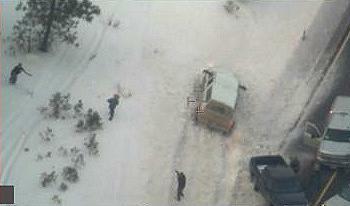 Occupation spokesman Robert “LaVoy” Finicum, 54, was shot and killed by state police after he fled in his white truck from the stop, approached a law enforcement roadblock and plowed into a snowbank, an FBI video shows. Finicum then stepped out into the snow. Agents and troopers found three other loaded weapons inside the truck, including two loaded .223 caliber semi-automatic rifles and a .38 special revolver. The defendents face felony charges of conspiracy to impede officers of the United States from discharging their official duties through the use of force, intimidation, or threats. Prosecutors returned the sealed indictments early in the day, but the defendents were not in court. Assistant U.S. Attorney Geoff Barrow said he would move to unseal them in less than 24 hours. The defendants were denied bail last week by a different judge who believes them to be a flight risk. 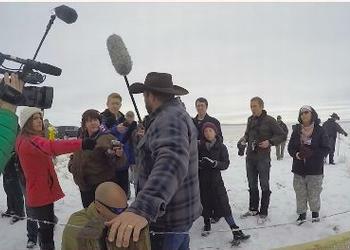 Although Ammon Bundy has asked them to leave the refuge, four people were still occupying it Wednesday. The refuge remains closed. The Bundy Ranch Facebook page may be collateral damage in this conflict. The opinions expressed on the Bundy Ranch page take issue with the government version of events. While many Harney County residents are upset by these events, the closure of their schools for part of January and what they feel is harrassment by the occupiers and their sympathizers, others back the Bundys. The Bundy Ranch Facebook page had 174,143 likes today. The Malheur National Wildlife Refuge is an oasis of water in the high desert of southeast Oregon. Located along the Pacific Flyway, the refuge manages habitats for migrating birds or birds staying to breed and nest in its 187,757 acres. The refuge hosts over 58 species of mammals. Ungulates include mule deer, pronghorn antelope and the occasional Rocky Mountain elk. Coyotes are a common sight, while bobcats and mountain lions are more elusive. 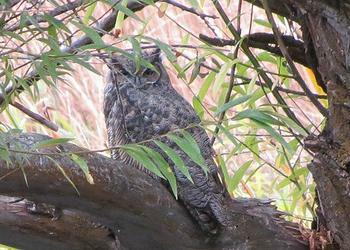 Fourteen species of bats and 12 native fish species have been identified on the refuge.